Over 60 people joined an anti-war protest at Hiawatha and Lake Street on Saturday, July 22. 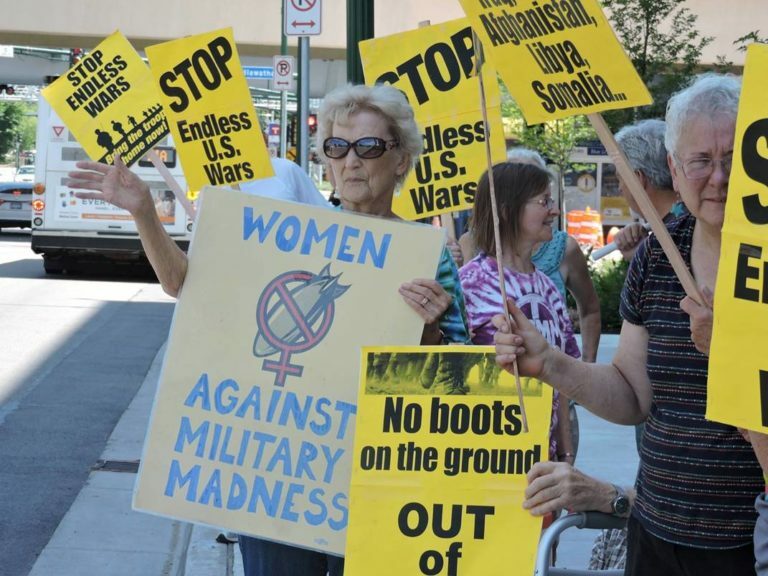 The protest, called by the Minnesota Peace Action Coalition, was held in response to the ever increasing military intervention around the world by the Trump Administration. The response from people passing by was overwhelmingly positive as people honked their car horns in solidarity with the anti-war message. Several people walking by stopped to join the protest and listen to speakers. One participant said, “At one point, 10 to 15 cars lined up waiting for the light to change started honking at the same time, with passengers and drivers waving in support. There is a huge opposition to these wars.